Hey everyone! It is time for the Artisan Design Team Blog Hop! These ladies are truly amazing and I love being able to get to know them. As you know, there are sixteen of us and you just have to click the "next" button at the end of each post to visit everyone. This week we are diving into our November boxes, which was filled with goodies perfect for the Holidays! 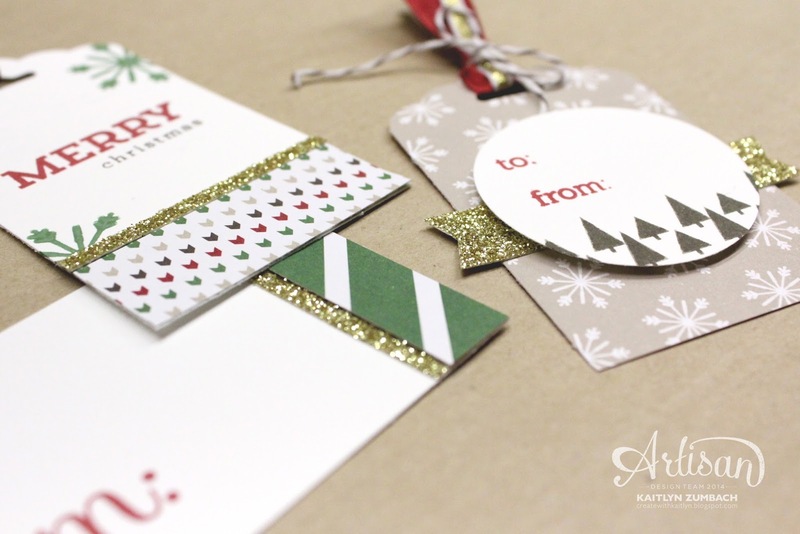 The first project I have to share with you is a set of Christmas tags that uses the Trim the Tree Designer Series Paper Stack. Aren't they great?!?!? I love how simple but "wow" these tags are! 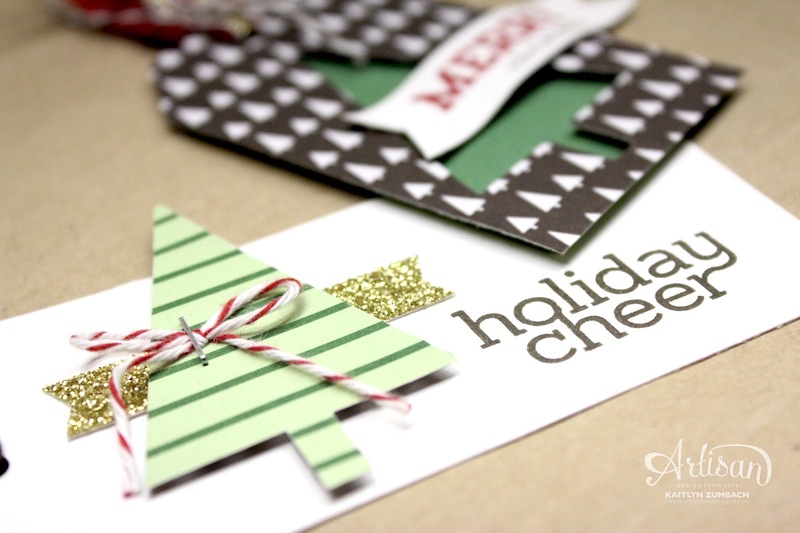 The Trim the Tree Designer Series Paper Stack is perfect for tag making because there are lots of patterns to make a variety of tags. 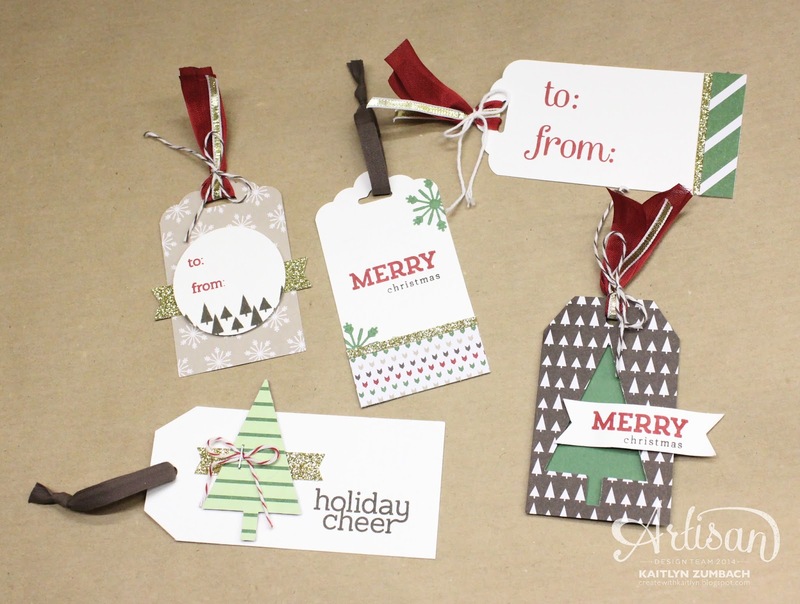 The Scalloped Tag Topper and Angled Tag Topper punches are also must haves when making tags. In one easy step, you punch the hole and top of the tag. To get the most out of your paper, use a single punch for two tags. The green stripes is the reverse side of the brown trees. I just punched the tree out of the first tag to create a window, and just used for another tag! The Gold Glimmer Paper really makes these tags special. Just the tiniest bit of shimmer takes the tags from cute to fantastic! Now, this is one of those "Why didn't I think of this before?" ideas. 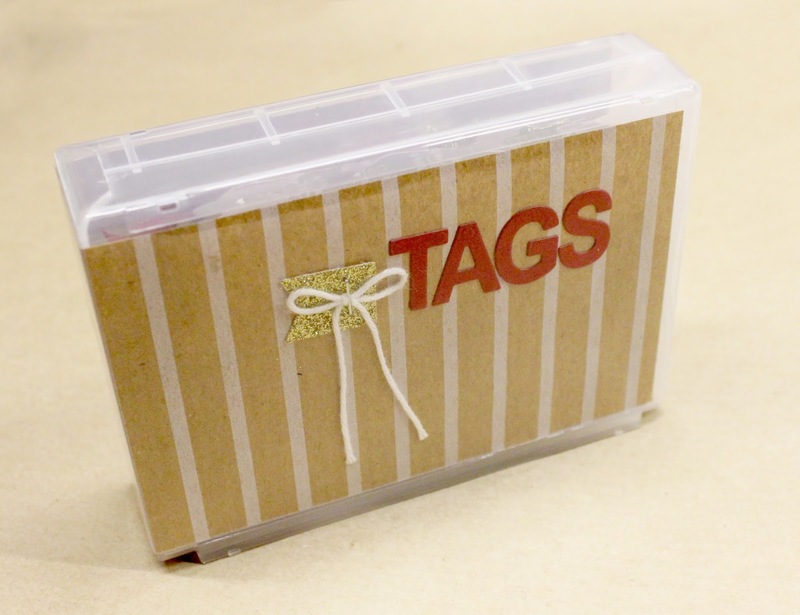 You need a lot of tags at Christmas time and instead of letting them hang out all over the place, make a cute container to hold them all! I used one of the Half Wood Mount Cases with some of the Festive Designer Kraft Paper Roll to decorate it. Easy, but it will be super effective! Don't forget to click the "next" button to see what everyone else has created for you! Kaitlyn, your Tags are so cute!